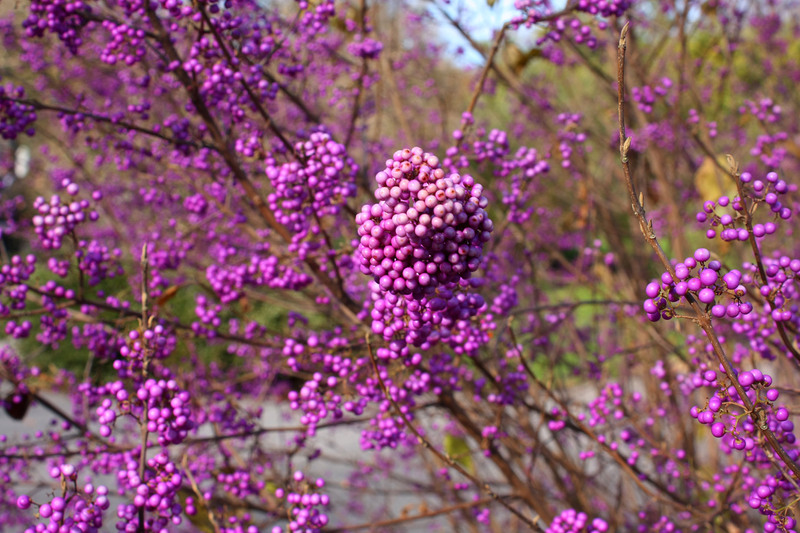 Number 5: Callicarpa bodinieri 'Profusion' or Beautyberry. What a colour! You just don't see this shade of purple very often in the garden. This plant is not the most attractive for the rest of the seasons, so I recommend planting it near the back of the garden bed or yard. It grows large, so, don't worry, you'll see it! These branches are great for using inside as decor as well. Wow, what a berry!